CH. WESTPAW'S LEGACY OF A REBEL A.K.A. 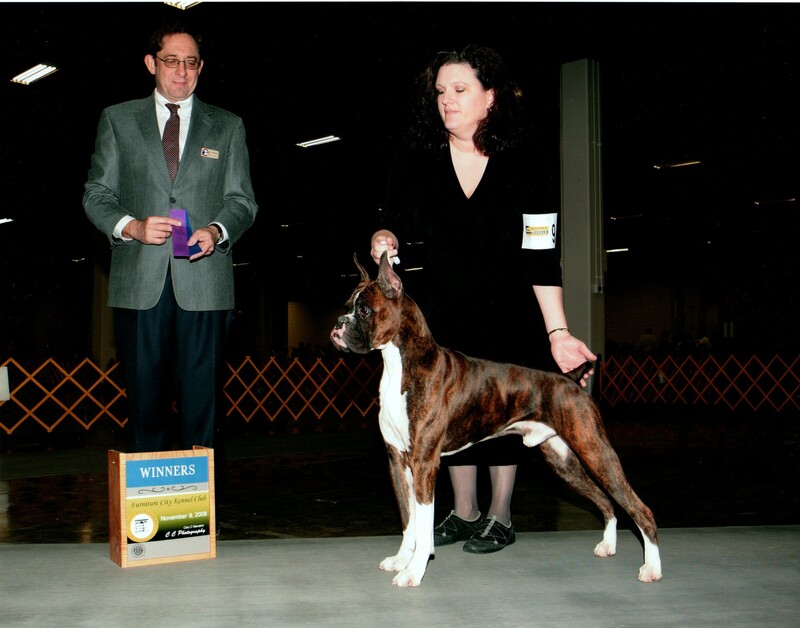 "Chopper"
Chopper's first time out as a Special (Champion) he went BOS at the Boxer Specialty Show March 25, 2011 in Raleigh, NC under judge Chuck Winslow, handled by Jorge Pinzon. Chopper is a NEW CHAMPION!! Chopper finished in style with a 4 POINT MAJOR, taking BW and BOS March 18, 2011 in York, PA under judge Theresa L. Hundt. Handled by Jorge Pinzon. 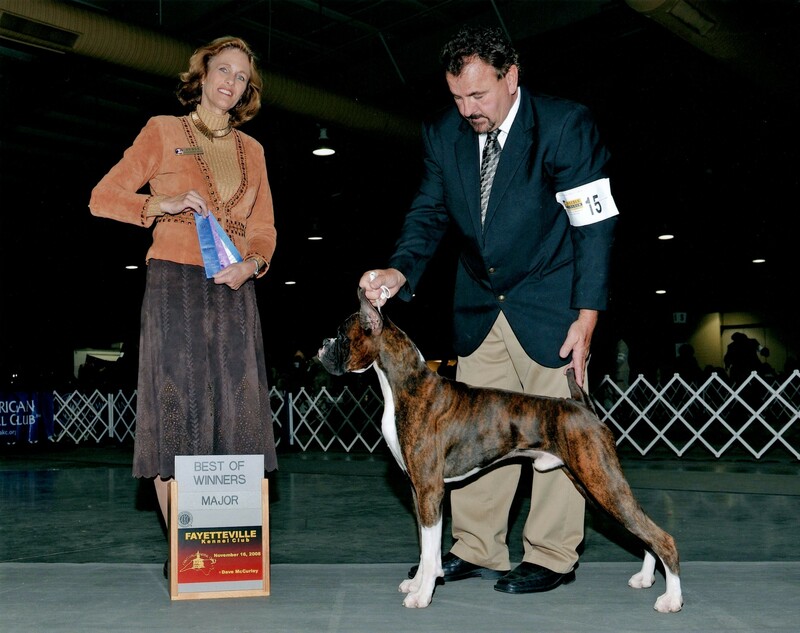 Chopper took Winners Dog and Best of Winners for his first 3-point major on November 16, 2008 in Concord, N.C. at the Fayetteville Kennel Club show under judge Mrs. Patti Widick Neale! 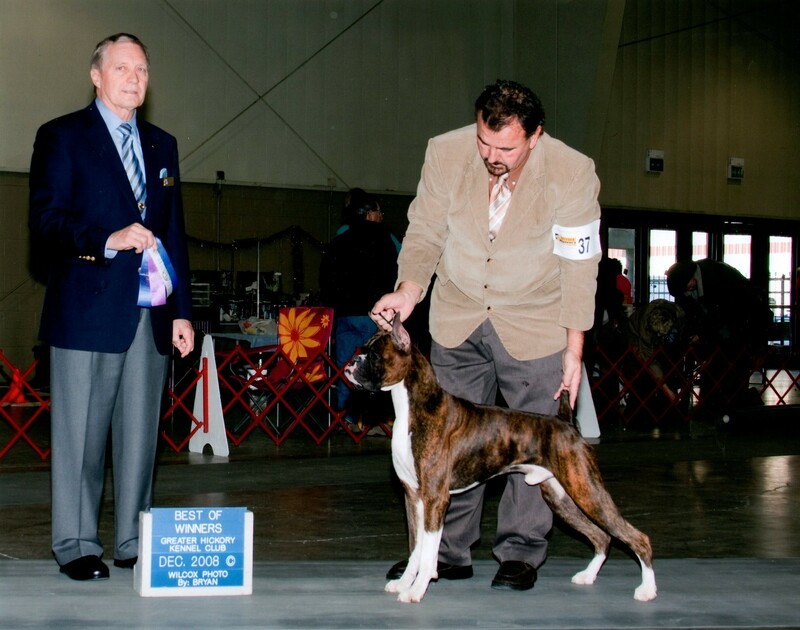 Chopper was handled in the 12-18 month class and in breed by Barry Hendley and in winners class by Nicole Coneen....thanks guys!!! 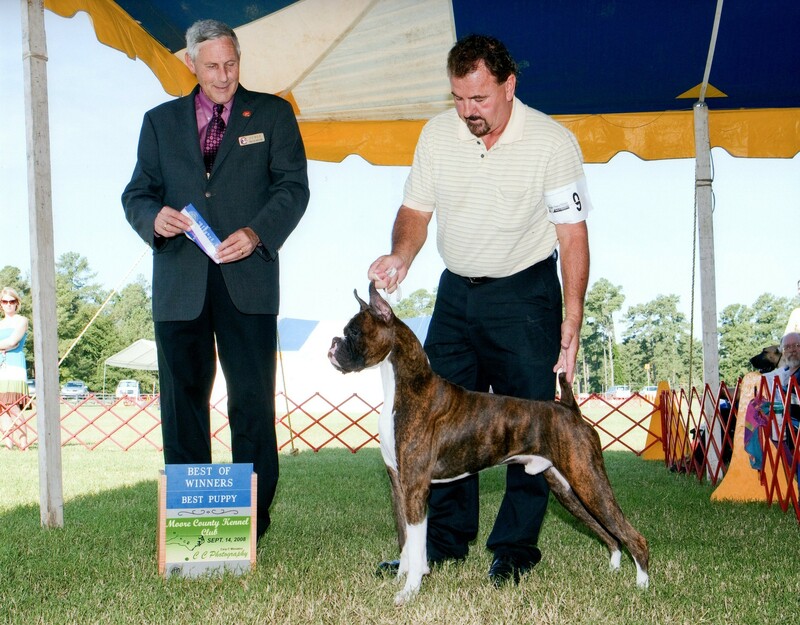 Chopper takes Winners Dog and Best of Opposite in Greensboro, N.C. November 9, 2008 under judge Mr. Eric Ringle from the 12-18 month class at the Furniture City Kennel Club show. He was handled in class by Barry Hendley (thanks Barry!) and in winners by Jennifer West. NEWSFLASH! CHOPPER TAKES ANOTHER WIN! 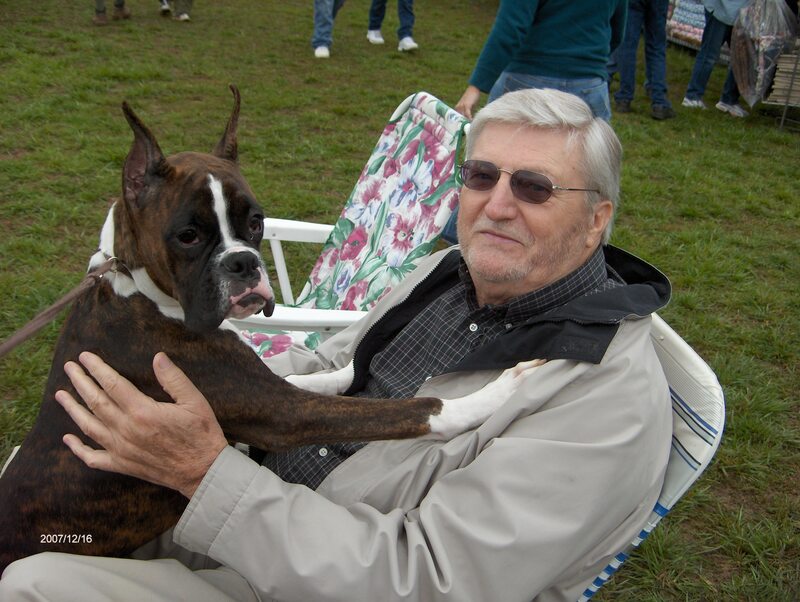 At the Moore County Kennel Club in Pinehurst, N.C., Chopper went Winners Dog and Best of Winners and Best Puppy from the 9-12 month puppy class for 2 points under judge Mr. Brian Meyer on Sept. 14, 2008. Chopper was expertly handled by Barry Hendley....thanks Barry!!! Pictures coming soon! 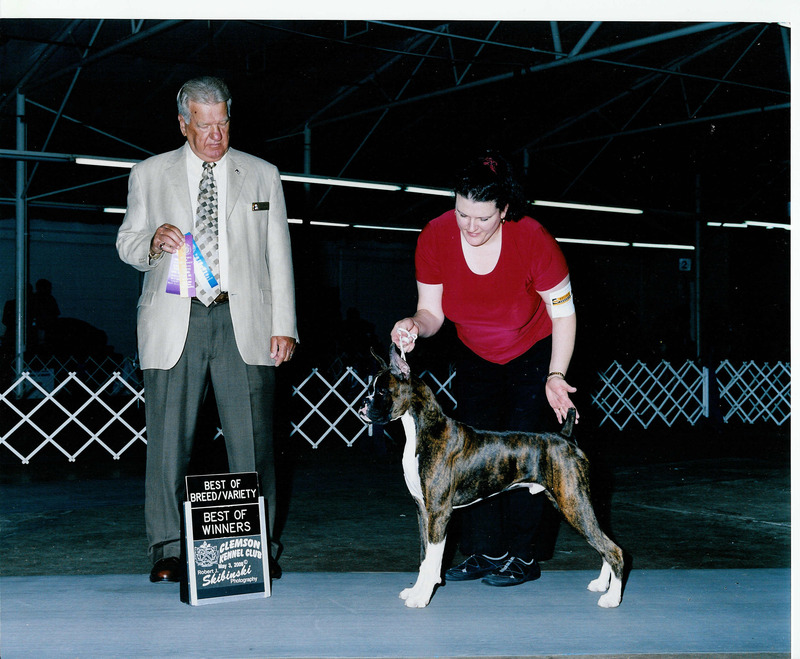 Here is Chopper taking Winners Dog, Best of Winners and Best of Breed over a Special for his first point under Judge James Noe at the Clemson Kennel Club in Anderson, SC over the weekend of 5/3/08 from the 6-9 Month Puppy Class!! 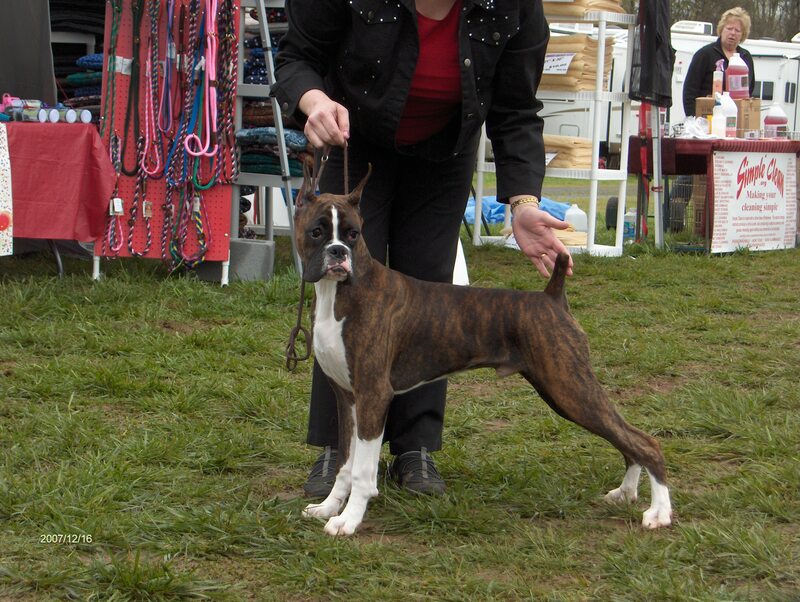 Handled by Barry Hendley in Class and by Owner/Breeder Jennifer West in Winners and Breed Class. 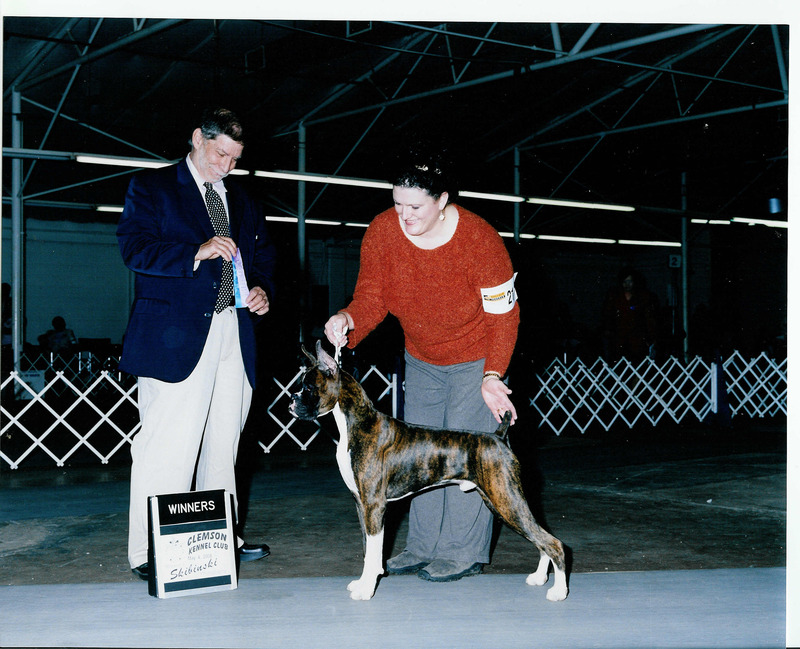 Here is Chopper taking Winners Dog for another point at the Clemson Kennel Club show on 5/3/08 under Judge Dr. Richard Hilderman from the 6-9 month Puppy Class! Handled by Barry Hendley in Class and by Owner/Breeder Jennifer West in Winners. 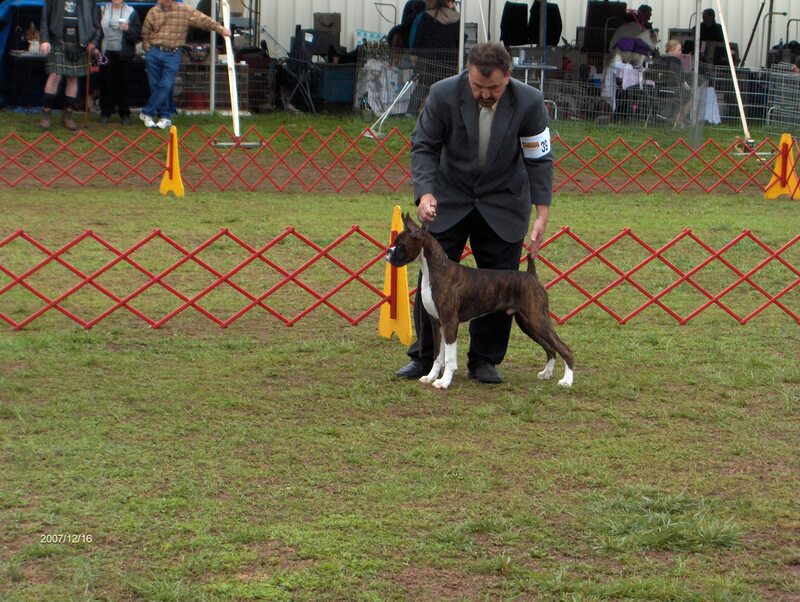 Chopper's first show in Charlotte, NC at 6 months of age.